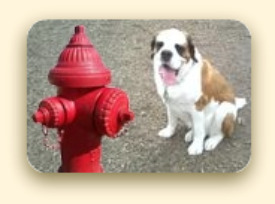 The Fire Hydrant Interactive Dog Park - Join in and Discuss Various Dog Related Topics! Join the Discussions Outside of the Dog Food Bag! The Fire Hydrant is our new interactive off-leash dog park, designed for all discussions unrelated to dog food, diet and nutrition. Here's where YOU can share YOUR thoughts and opinions, and offer useful information on various dog topics. You can also comment on contributions from other visitors. Unleash and bark it out! Your submissions may be controversial and thought-provoking or, depending on your mood, light hearted and entertaining! Interesting dog related stories currently making news headlines. Thoughts on puppy and dog vaccinations. Are we over-vaccinating our dogs? Opinions on mainstream dog medications vs. holistic dog treatments. Real leash-free dog parks. Are they safe? Do you approve or disapprove? Puppy and dog training tips and suggestions. Thoughts on adopting from a shelter versus from a reputable breeder. Any helpful tips you can offer future dog parents when considering adopting an absued dog? Write a review of a dog item you recommend.or caution against (e.g. Dog health books, best dog toys, dog beds, etc.). Cute or funny dog videos. See bottom of page for list of visitor contributions. Community Scoop interactive dog parks are designed to encourage friendly, caring and informative discussions. All well-meaning opinions are welcomed and treated with respect. Spiteful, discourteous and other inappropriate comments will get you thrown in the dog house without warning. This applies to spam and/or advertising attempts. If you state a claim as fact (versus expressing a personal opinion), or alert us to a news story, please provide relevant reference links. We will include links at our own discretion. The opinions expressed in Community Scoop interactive dog parks are the opinions of those who post and do not necessarily reflect the opinion of the Dog Food Scoop Team. In other words, they are your words, not ours. Got Something on Your Mind? Bark it Out Here! Share your dog story and thoughts and opinions here. Whether it's fun and humorous, educational, or controversial, go on and bark it out here. Just start typing in the form below. Click on the question marks for a few tips. Your story will appear on a web page exactly the way you enter it here. You can wrap a word in square brackets to make it appear bold. For example [Pitbulls should not be banned!] would show as Pitbulls should not be banned! on the web page containing your story. Do you have a picture of your dog you'd like to add to your story? Great! Click the "Browse" button, find the picture on your computer, and then select it. All done!